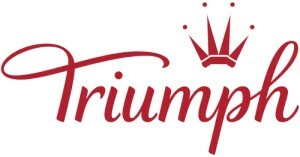 Triumph has been designing and innovating high quality lingerie since 1886, helping women of all shapes, and sizes feel wonderfully feminine in every stage of their lives. This is why we continue to offer bespoke services and personal advice across our stores and online platforms. Every authentic garment we make is intricately handcrafted by our expert seamstresses, featuring innovative designs that blend classic craftsmanship with pioneering technology. Our collections range from every day to premium lingerie to shapewear, sportswear, homewear and leisurewear.